With their large, sharp teeth and frightening howls, it’s easy to imagine wolves as monstrous adversaries. 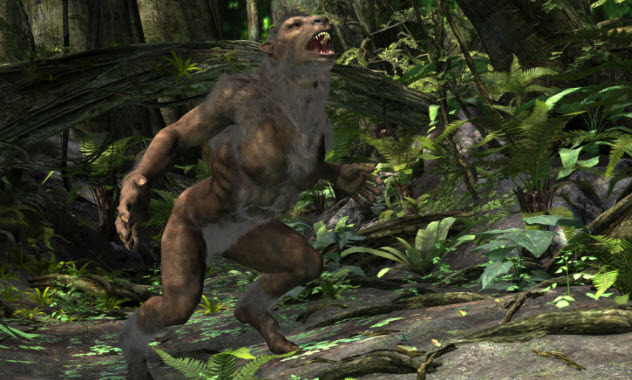 Even though wolf-on-human attacks are incredibly rare, many people remain fearful of wolves, including the fictional variety known as “werewolves” (humans who turn into wolves when the Moon is full). During the Middle Ages and the early modern period, suspected werewolves were put on trial like witches and often tortured into confessing that they had received their wolfskins and special ointments from Satan. Many of these older werewolves were actually serial killers who possessed an animalistic ferocity. Others were rural lunatics who lived outside of their villages or towns. Either way, wolves and werewolves have caused major panics throughout history. In 1450, Paris was not the giant metropolis that it is today. But it was still the largest city in the Western world. Surrounded by walls, Paris was nominally protected from its rural neighbors, many of which were ferocious animals. That winter, a pack of hungry wolves managed to enter the city and kill 40 Parisians, thus starting a panic that spread throughout the city. The wolves, which were described as reddish in color (which may mean they were Iberian wolves from northern Spain), so terrified the locals that they gave the pack leader a deceptively chilling name—Courtaud (“Bobtail”). Soon enough, Parisians decided to rid themselves of the killer wolf pack. First, locals armed with various weapons cornered the wolves in the heart of the city. Then, in the public square in front of the Notre Dame cathedral, the mob threw spears and stones until all the wolves were dead. In 1817, a wolf puppy was caught in rural Sweden and lived in an enclosure for years. When the wolf escaped, it became the dreaded “Wolf of Gysinge” that attacked 31 people and killed 12 between December 30, 1820, and March 27, 1821, in the Swedish regions of Dalarna and Gastrickland. A majority of the victims were children between the ages of three and 15. Most had been partially consumed when their bodies were discovered. 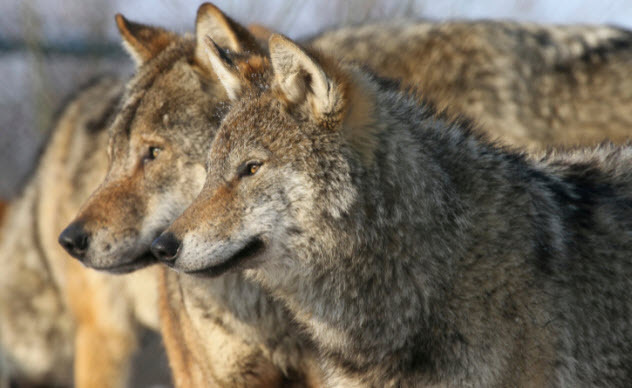 In response to the crisis, the Swedish government put a bounty on wolves and wolf pups that drastically diminished the wolf population in Sweden. As for the Wolf of Gysinge, it and other wolves that were suspected of being dangerous man-eaters were killed by local hunters. The entire episode was dramatized by the BBC in 2005. Between the 15th and 17th centuries, the French-speaking Swiss canton of Vaud was supposedly home to numerous witches, werewolves, and sorcerers. Although a child-eating werewolf was reported to the authorities as early as 1448, the panic in Vaud did not intensify until the rest of Europe was already mired in witch hunts and the subsequent trials. In 1602, three women were charged with transforming into wolves after rubbing themselves down with an ointment provided by Satan. As werewolves, they were believed to have abducted a child and consumed him during a blasphemous ritual held on the Sabbath. Twenty-two years later, a man also confessed to changing into a werewolf to enter a stable and kill livestock. He was unsuccessful. As the panic began to wind down in 1653, Francois Perrault, a Huguenot pastor, composed a pamphlet entitled Demonologie that claimed that lycanthropy was brought about by depression and illusions. Given this, the author argued that werewolves no longer had any connection to witchcraft. A change in the official attitude followed suit. In 1670, a 12-year-old boy’s claim that he and his mother regularly transformed into werewolves was not taken seriously. Werewolf trials in Switzerland were not confined to Vaud. 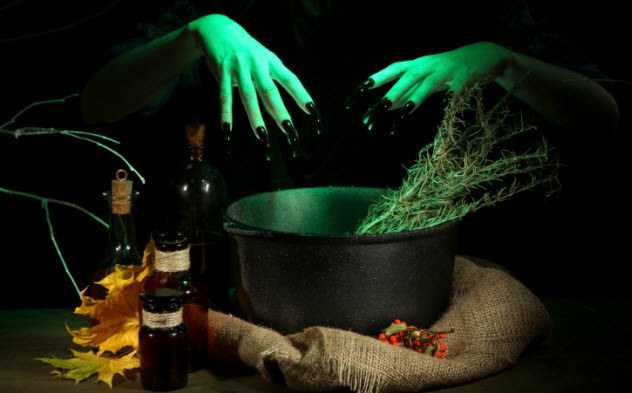 Between 1428 and 1447, a series of witchcraft trials took place in the French province of Savoy and the French-speaking and German-speaking portions of the Swiss canton of Valais. In late summer 1428, the trials began when delegates representing seven districts in Valais petitioned the Duke of Savoy to initiate a witch hunt. The petitioners wanted anyone who had been accused of witchcraft by three people to be tried in court. As it was the Middle Ages, the accused were likely to be tortured, too. Unlike many later proceedings, the Valais witch trials also included people who had been accused of lycanthropy. Although many today do not equate witches with werewolves, the French and Swiss courts at the time saw the two as similar, for werewolves were believed to be the result of black magic. Within a few years, the trials that had started in Valais spread throughout Switzerland and reached both sides of the Alps. Possibly the first major witch hunt in European history, the Valais witch and werewolf trials are notable for the mass burning of 100 suspected witches and lycanthropes. Like the earlier panic in Sweden, the “Wolves of Turku” were a roaring pack of man-eating wolves who mostly feasted on children. Between 1880 and 1881, two or three wolves killed 22 children in and around the coastal city of Turku, Finland. The first victim, who was the eight-year-old son of a local sailor, was so badly mauled that his body was found in pieces. When the next victim was killed in a similar manner, the government dispatched 15 soldiers and nine professional hunters from Pskov, Russia, to kill or capture the wolves. While the Turku wolves were still active, they caused such a general panic that 1880 and 1881 are still known as the “Wolf Years” in Finland. Many parents feared that their children would be next as stories about wolves clutching crying toddlers in their bloody jaws made the rounds. Finally, in January 1882, an aged and almost toothless female was shot by hunters. Twelve days later, a male wolf was poisoned. When a third was killed shortly afterward, the panic began to subside. No one can say exactly what the “Beast of Bladenboro” was. At the time, eyewitnesses claimed that it looked like everything from a large cat to a large wolf to a wolf-dog hybrid. As no one actually caught the beast on camera or found a corpse, all we can do now is speculate. The Beast of Bladenboro case began on December 29, 1953. That night, a woman in Clarkton, North Carolina, chased away what appeared to be an abnormally large feline from her neighbor’s property. Next, on New Year’s Eve, Roy Fores, the Bladenboro police chief, was called to an area farm where two dogs had recently been killed. Within a short time, the Bladenboro police were receiving numerous calls about dogs being attacked by a large beast that was trying to drag them into the woods. When the local newspapers got hold of the story, it was reported that several dogs had been savagely killed and drained of their blood. For the next couple weeks, sightings occurred throughout Bladen County, with witnesses claiming that goats, pigs, and dogs were being attacked frequently. As for the beast itself, the large cat reported on December 29 became a spotted beast that looked like it belonged in Africa, a huge bobcat with a paw print suggesting that the beast weighed between 45–70 kilograms (100–150 lb), a lone cougar who had somehow managed to escape extinction, a bear, and a wolf. Today, some people believe that the Beast of Bladenboro wasn’t a known predator at all but a “cryptid” (an unrecorded species of animal). Although the Beast of Bladenboro case petered out in the mid-1950s, some eyewitnesses believe that the animal remains active in the North Carolina Piedmont today. Maine is truly the last wilderness of the thoroughly settled American East Coast. Bigger than the other five New England states combined, Maine is lightly populated and overwhelmingly rural. It would be easy to hide among the state’s many pine trees. Like the Pacific Northwest, which has long been home to most of the world’s Sasquatch sightings, Maine could house an entire army of cryptids. In 2007, a couple in Palmyra, Maine, experienced a terrifying night that may or may not have involved werewolves. Shelley Rockwell-Martin and Eric Martin had only recently moved into their new home in Palmyra when five wolflike creatures began stalking them while they sat outside on their front porch. According to both, the creatures would occasionally stand on their hind legs with ease, appearing to be about 2 meters (7 ft) tall. Throughout the night, the beasts stalked the couple’s home with a frightening intelligence. An avid hunter, Eric usually kept his guns nearby, but at Shelley’s insistence, his entire gun collection was safely locked away in an outside shed. Besides a few bone-chilling encounters (which were prominently featured on an episode of Paranormal Witness), the Martin family mostly spent the night locked inside their home. 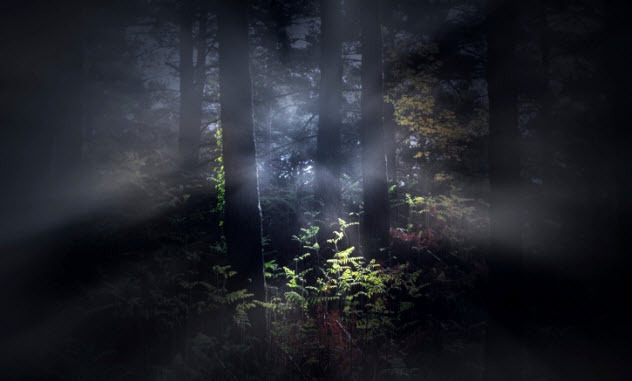 As if a potential werewolf attack in modern-day Maine isn’t weird enough, the siege was preceded by a series of inexplicable lights in the woods surrounding the Martin house. Eric Martin also claimed that prior to seeing the wolf pack, he had seen the ghost of a small child in out-of-date clothes inside the house. Given all the strange activity surrounding this case, those inclined to believe such things have wondered if the Martin house sits near or on a doorway between the spirit world and our own. Better known today as a Columbus punk band, Defiance, Ohio, is a small town on the western edge of the state. Taking its name from a bit of bravado spoken by General Anthony “Mad Tony” Wayne, Defiance was home to a rash of werewolf sightings in 1972. During July and August of that year, railroad workers and other citizens began reporting that they had seen a “wolfman” on the Norfolk and Western tracks not far from the town’s Fifth Street. Strangely enough, eyewitnesses claimed that the huge monster had crept out of the woods and attacked people with a two-by-four between the hours of 1:30 AM and 4:30 AM. Almost immediately, the suspected werewolf became a running joke for the local papers, which delighted in quoting passages from the 1941 film The Wolf Man or intentionally stoking anxiety with sensational headlines. At the same time, reports continued unabated, with one woman telling police that she was seconds away from shooting whatever creature was scratching at her front door. Three others simply requested police protection from the monster. Thankfully, in a short time, the panic subsided, and Defiance went back to normal. Although werewolf trials began in Switzerland and France, they occurred more frequently and persisted longer in southern Germany and Austria. 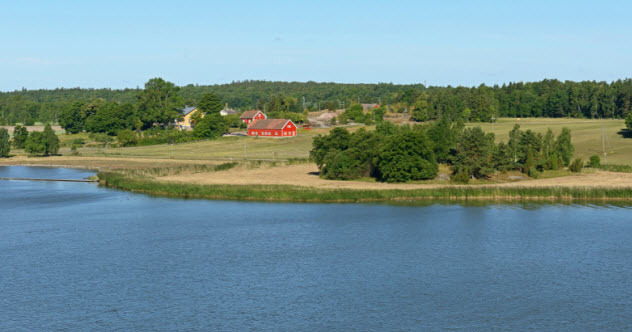 Partially, this was the result of trials that targeted suspected “Wolfssegen” (wolf-charmers). Wolf-charmers were those who used magic to manipulate wolves into becoming hunting animals or weapons. Like witches and werewolves, wolf-charmers were put on trial and frequently executed. In Austria, many witch and werewolf trials were conducted at Moosham Castle, a notoriously haunted building that is a fixture of the ghost tour circuit today. Built in the 13th century by the Prince Bishop of Salzburg, Moosham earned the title “Witches Castle” due to the numerous witch trials and executions that occurred there between 1670 and 1690. From 1715 to 1717, several cattle and deer were slaughtered at Moosham Castle by an unknown animal. Originally thinking that wolves were responsible, the castle owners sent out armed hunters. When they failed, superstition took over, and the killings were seen as the work of werewolves. In 1717, several beggars were arrested and tortured into giving confessions. They claimed that they had received a “black cream” from Satan which allowed them to transform into wolves. Once in this state, they killed and ate livestock for sustenance. As expected, once these confessions were rendered, the guilty parties were either executed or confined to the castle’s dungeons. King Louis XV’s France was awash with ravenous creatures. The most famous case occurred between 1764 and 1767 in the southern French province of Gevaudan. There, an unidentified creature killed between 80 and 113 people before an area farmer named Jean Chastel killed the beast with a silver bullet. 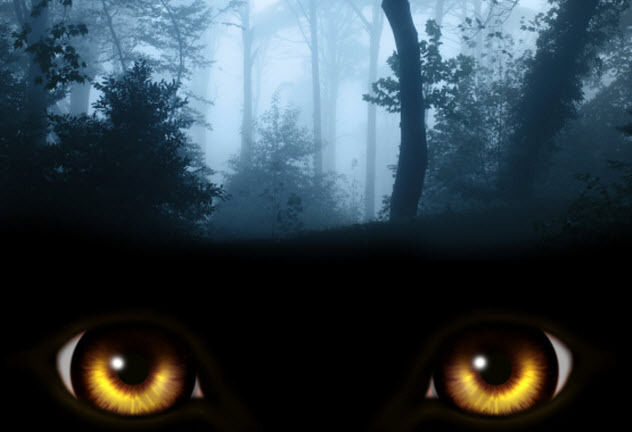 The case still intrigues historians, investigators, and cryptozoologists today, with some claiming that the beast was everything from a sick wolf to a hyena. During the 18th-century panic, King Louis XV sent royal troops into the area to the kill the beast. While unsuccessful, some of these men were sent to Soissons, a commune northeast of Paris, in 1765. For two days, a wolf terrorized Soissons, killing four and injuring 14. In a flurry of violence, the fearless beast struck indiscriminately, even attacking a man on horseback. When the wolf was finally killed, it took a militiaman armed with a pitchfork to pin the beast down while another individual dealt the killing blow. Incredibly, yet another wolf panic occurred in February 1766, when 18 people were killed by a pack of bloodthirsty wolves. 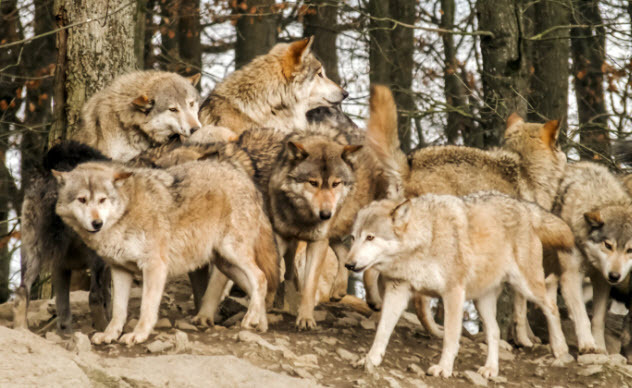 Rather than wait for the royal hunters, the people of Perigord organized hunting parties that effectively killed off the wolves within the month. In one instance, an elderly man used a billhook blade to keep a wolf from killing another farmer. For his courage, King Louis XV personally rewarded the elderly man with silver and a military exception for his children. Today, two of the killer wolves are on display at the Chateau de Razac in the commune of Thiviers. Benjamin Welton is a freelance writer based in Boston. His work has appeared in The Atlantic, The Weekly Standard, Listverse, and Metal Injection. He currently blogs at literarytrebuchet.blogspot.com.